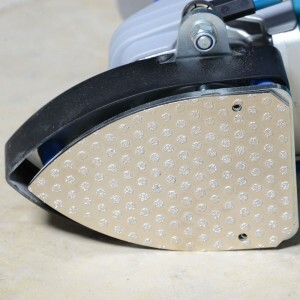 The arm allows oscillation of the « triangular » cup wheel for optimal grinding of the corners. 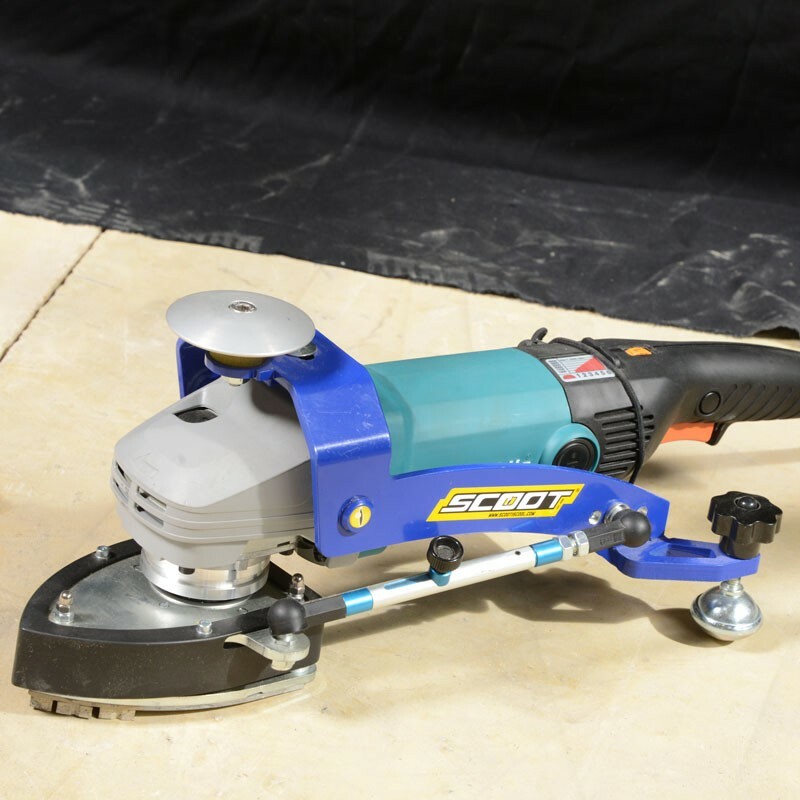 Several types of plates can be fitted on the Scoot: different grit sizes (#30 to #3000), bonding types, etc. 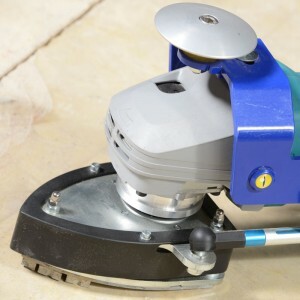 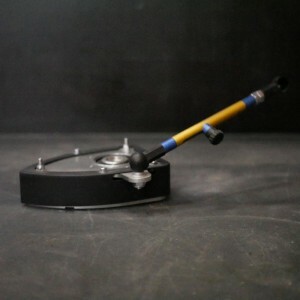 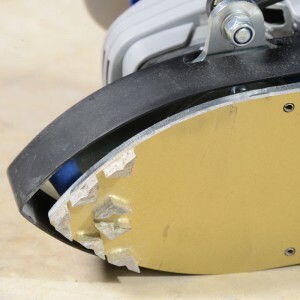 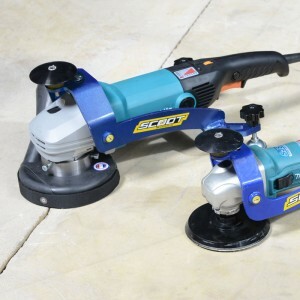 You can turn your Corner Scoot back into an efficient grinder by unscrewing the Corner Scoot and screwing in a cup grinding wheel.